The Padres announced this afternoon that they’ve designated left-hander Buddy Baumann for assignment in order to open roster space for southpaw Eric Lauer, who’ll start for San Diego in his MLB debut tonight. Additionally, first baseman Eric Hosmer has been placed on the family medical leave list. Baumann, 30, gave the Padres 27 1/3 innings of quality relief from 2016-17, averaging 10.2 K/9 against 3.6 BB/9 with a 2.96 earned run average. But he was hit hard in his lone outing this season, retiring just one of the six men he faced and yielding five runs (two earned) on a pair of hits and a pair of walks (in addition to an error committed behind him). Baumann’s big league experience is limited to the past three years, but he has a strong track record in Triple-A: a 3.15 ERA with 9.3 K/9, 3.4 BB/9 and 0.7 HR/9 in 257 1/3 innings there. As for Lauer, the 22-year-old former first-rounder (25th overall, 2016) becomes the latest potential core piece for the Padres to reach the Major Leagues. He’s considered among the top 15 farmhands in a stacked Padres system, ranking 12th at MLB.com and Baseball America and eighth per both ESPN’s Keith Law and Baseball Prospectus. Lauer has made three starts in Triple-A this year and turned in a 3.00 ERA with a 19-to-6 K/BB ratio and a 40.9 percent ground-ball rate. Scouting reports on him vary, of course, but the general consensus on the southpaw is that while he lacks a true out pitch, he has a fairly high floor and is a near-MLB-ready fourth or fifth starter. As the Padres have demonstrated with Joey Lucchesi thus far in the young season, they’re not afraid to make an aggressive promotion and give a young arm the opportunity to claim a spot in the long-term rotation picture if performance dictates. With Luis Perdomo recently being optioned after an ugly start to the season, Lauer should have the opportunity to claim a spot alongside Lucchesi, Clayton Richard, Bryan Mitchell and Tyson Ross. Every player from the 2016 draft currently in the Majors is a Padres lefty. Not bad. I don’t see Baumann clearing waivers. Jesus, you’re right. Well, that is until Nick Senzel gets the call, but either way. Good luck to Lauer tonight. Wish the Padres were fielding a better lineup behind him… but hosmer is out and for some reason Andy Green thinks it’s a good idea to put Jose Pirela at second base, where he is even worse defensively than he is in left field. He’ll likely end up a back-end starter, but that’s okay. There were never any expectations of him becoming some elite ace. AJ Preller said on the radio today that Quantrill is next and could be within the next month or two, so he could be the 3rd player from the 2016 draft to make the majors, all 3 in the Padres starting rotation. Yeah Mitchell has been awful, makes Headley’s contract absorption in order to get him very head scratching at this point. Not to mention Headley has been brutal to watch as well. Rather see what Huffman or Kennedy have and let quantril season at aaa. Or Jacob Nix, Walter Lockett, I’d be down to see either of those guys prior to Quantrill. Huffman and Kennedy won’t get a fair shot; they weren’t picked by the Boy Genius. Why wasnt mitchell dfa? For god sakes. He can’t pitch. dfa mitchell and call up huffman or kennedy too. Rather see him pitch than mitchell. Lol 1 year of Chase headley and mitchell for jabari blast. Preller won the.trade by finally moving on from the .blash experiment. Regardless what happens with mitchell 1 year of headley isnt hurting the padres at all. You said the same thing on the other thread. 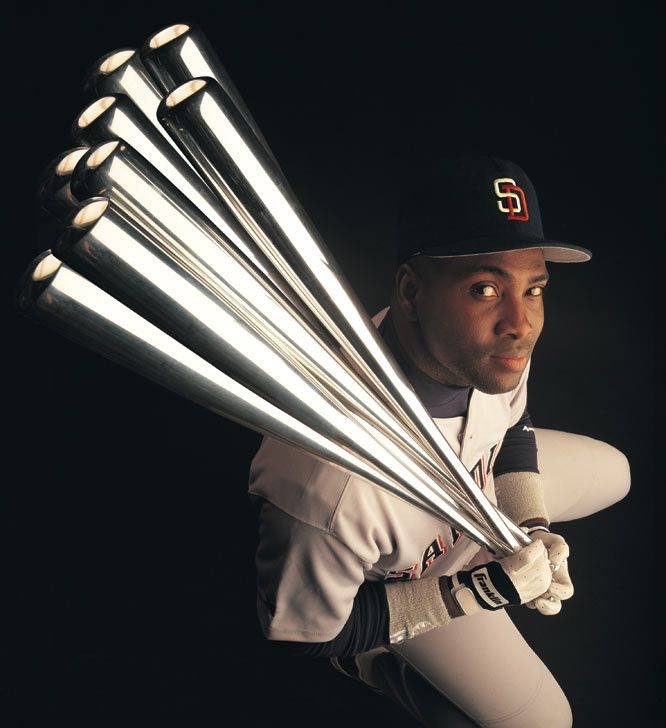 Getting rid of Blash wasn’t a plus for the Padres because there was nothing stopping them from just DFAing him like the Yankees did. You have to actually be making money in order to have negative trade value. Preller could have cut Blash at any time at no cost. He pissed away $13M to tie up 2 roster spots and get a picther who wouldn’t have made the Yankmes and could have been picked up waivers for virtually nothing. As long as it’s not my money, I’m not hurt, but I wouldn’t call it winning. What Preller won’t tell anyone is that Mitchell’s just there to pad the losses and help raise the team’s draft position for next year. Replace quantril and strahm with Kennedy and Huffman who are lookimg.good in aaa. They’re not AJ’s picks, so they’ll never get a shot. 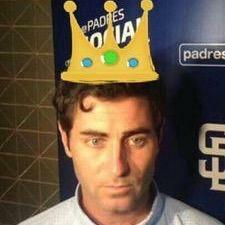 It’s not about winning, it’s about the Preller Legend. My friend in Ohio told me her neighbor was starting tonight. Eric Lauer. Hate to give her the bad news tomorrow, when I tell her how bad he pitched. At least he got his first MLB hit. Yeah looks like the Lauer move helped….not!!! Y’all should’ve kept Buddy..huge mistake! Hope he completely balls for another team! Notice that the Padres really don’t have any hard throwers on their staff? ?This is because Balsley prefers guys with command and control. I believe in today’s game unless you have a dominating sinker or some kind of ground ball pitch you can’t pitch to contact. These hitters today are too big and strong.